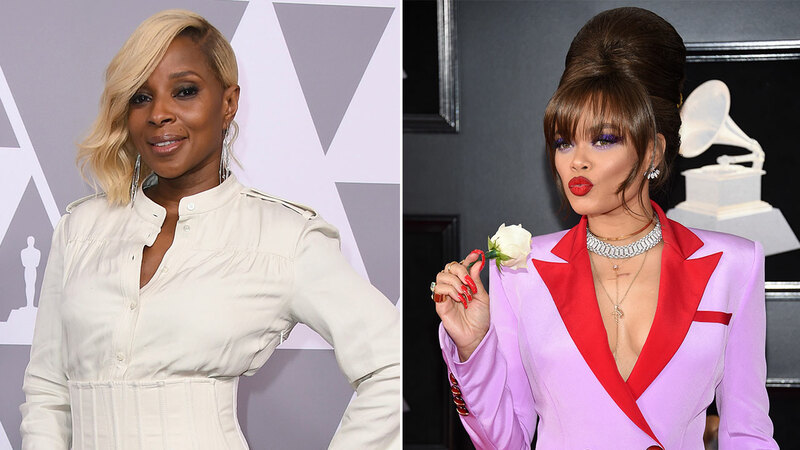 Though Mary J. Blige has a very different look than her "Mudbound" character, the Oscar-nominated actress said she looked within herself to bring Florence to life. More than two decades after fans fell in love Mary J. Blige, the singer, the artist is earning prestige as Mary J. Blige, the actor. In Mudbound, Blige plays Florence Jackson, a mother of four in rural 1940s Mississippi whose oldest son, Ronsel, is serving in World War II. While Ronsel is away, Florence confesses in the film's narration, "I only prayed for him." To capture the character's quiet strength, Blige drew from her childhood experiences. Though she was born and raised in New York, her mother would often send her down to spend time with relatives in Georgia, where she learned about being a Southern woman. "My grandmother was this woman. All my aunts were this woman. And I was raised by them. So this character was in me," she said. But when it comes to looks, Florence and Mary are quite different. Florence's look is quite simple and stripped down, standing in stark contrast to the glamorous superstar. Blige was so transformed that one of Blige's onscreen sons didn't recognize her, she told ABC News. "I didn't even know I was so vain, when it was time to play Florence. I was hanging onto things. 'Oh, can she have lashes?'" Blige recalled. "But [director] Dee [Rees] said, 'No, no Mary,' and I said, 'Fine, no Mary, we want Florence, 100 percent.'" To bring Florence to life, Blige put in work during workshops with director Dee Rees. She also hired an acting coach to help her with this new step in her career. "It was a little different [than singing]. I can't describe what that different is, but I just know it was hard, to have to give everything to a character and actually get into character is hard," she said. Her work on Mudbound earned her not one nomination, but two: She's up for Best Actress in a Supporting Role, as well as Best Song for "Mighty River," which she wrote for the film. This makes her the first person in Oscars history to be nominated in both categories in the same year. Get ready for some Oscar-nominated music. On Friday the Academy announced performances scheduled for the 90th Oscars ceremony. Blige's stand-out year doesn't end there. On her birthday in January, the 9-time Grammy winner was added to the Hollywood Walk of Fame. With the Oscars approaching, Blige said she's grateful her work as an actress is being recognized, too. "I work really hard, and someone saw my work. Someone saw the 100 percent that I put into Florence," she said. Don't miss the Oscars, Sunday, March 4 at 8 p.m. ET | 5 p.m. PT on ABC. This story is sponsored by Mercedes-Benz USA.